You can view the application online at http://trestletech.com:3838/rgl/! 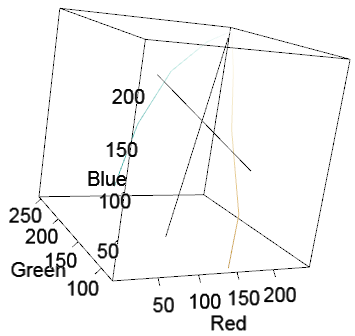 This is an adaptation of some previous analysis exploring the progression of color palettes through three-dimensional RGB space. Thanks to RStudio’s wonderful new Shiny application, this analysis can now be made more interactive. You can now explore all of the color palettes available in RColorBrewer and optionally even calculate/display the principal components for each of those palettes. As always, the source is up on Github.